THE latest poll results conducted by Pulse Asia, which showed that President Rodrigo Duterte remains the “most approved and trusted” public official, merely demonstrates that his critics' “loud hysteric” was implausible to the public, Malacañang said on Friday, January 11. Duterte earned the highest approval and trust scores, which were at 81 percent and 76 percent, respectively, according to Pulse Asia's December 14 to 21 survey. 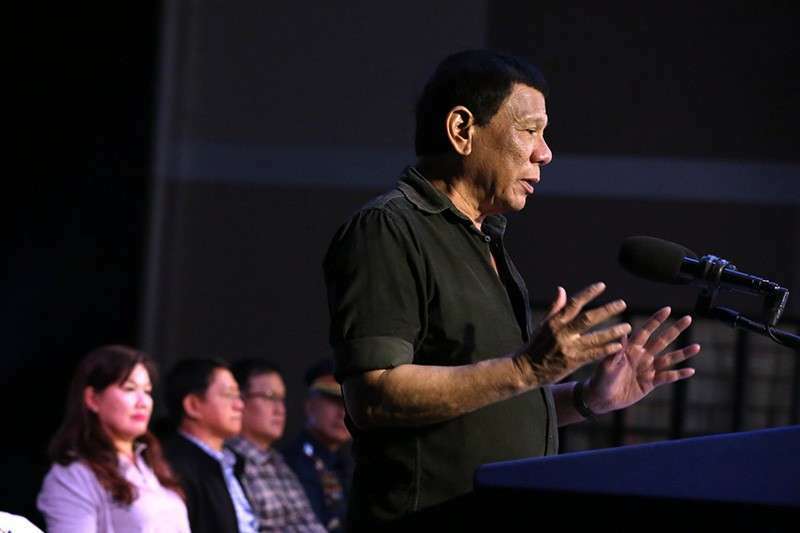 Presidential Spokesperson Salvador Panelo said the Palace welcomed the Filipinos' “continued appreciation” of Duterte by making him the most approved and trusted official in the country. “The Pulse Asia survey is therefore another repudiation of the critics and detractors of PRRD who don’t see or refuse to see the good in whatever the Chief Executive does and says,” the Palace official said in a statement. “Their loud hysterical harping and assaulting the administration with their accusations and condemnation are in sharp contrast to the clamor of the Filipinos for genuine and transparent change,” he added. The Pulse Asia was conducted when Duterte approved the second round of increases in fuel excise tax, as well as when Congress approved the third extension of martial law in Mindanao. The survey was also conducted at the time “the church, human rights groups, the opposition, the critics and the detractors were taking turns in lambasting the President’s hyperbolic style of delivering his narratives on certain issues and groups,” Panelo noted. “It appears that the tirades against PRRD have been ignored by a huge majority of Filipinos,” Duterte's spokesman stressed. Panelo assured the public that Duterte would continue fulfilling his mandate to serve and protect the Filipino people, despite the overwhelming appreciation of the Chief Executive's performance. “While the President is pleased with the survey results, such excellent acceptance and performance rating shall not stop him from excelling further to meet the expectations of the people he has sworn to serve and protect,” he said.